The people of Saada have suffered enough. 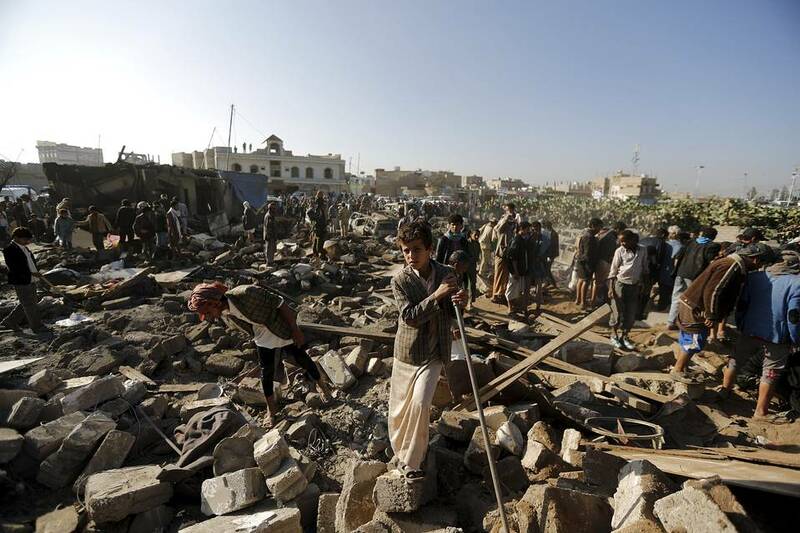 Yet after six bloody wars between the Houthis and the Yemeni regime, Saudi Arabia has begun the next phase of the northern Yemeni province’s destruction. The Saudi campaign recently declared the province a direct target in their fight against the Houthis, endangering the lives of thousands of innocent civilians. This comes as the next stage of ‘Operation Restoring Hope’, which aims to defeat the Houthis and restore Abd Rabbuh Mansur Hadi as president. The justification for the Saudi campaign is the supposed alliance between the Houthis and Iran, which – according to Saudi Arabia – has been backing the movement since its early days. Yet the factual basis of these allegations is dubious at best, and there is little hard evidence to support the claim that Iran was behind the Houthi takeover of the capital Sanaa. However, whatever alliance did exist between Iran and the rebels is likely to have strengthened as a result of the Saudi campaign. It is likely that the Saudi intelligence services knew the full extent of the suggested alliance (or lack thereof), begging the question, why did they really launch their attacks? The campaign seems too drastic and costly to be driven solely by the Saudi regime’s paranoia of Iranian expansionism. Saudi Arabia’s traditional policy towards Yemen has been to keep the country stable, no matter how corrupt the regime in power. And while the Saudi military supported president Ali Abdullah Saleh in the previous six wars in Saada, the ousted president, who recently admitted to working with the Houthis, has himself become a target of the Kingdom’s airstrikes. There are a number of reasons for the Saudi intervention, the most obvious being geographical: the Houthis’ home province of Saada is located on Yemen’s porous border with Saudi Arabia. This poses an obvious threat to the Kingdom’s security, and the Houthis have used Saada as a launching site for missiles directed across the border. Second is the issue of sectarianism: the Houthis belong to the Zaydi sect – a branch of Shi’ism that can, at a push, be associated with the Twelver Shi’ism that prevails in Iran. While the Houthi takeover of Sanaa had little to do with sectarianism, Sunni Saudi Arabia’s determination to maintain dominance over Shia forces in the region has obviously come into play. This is likely catalysed by the fear that Shia rebellion could spill over into the already divided Kingdom, which is home to a 20% Shia minority. 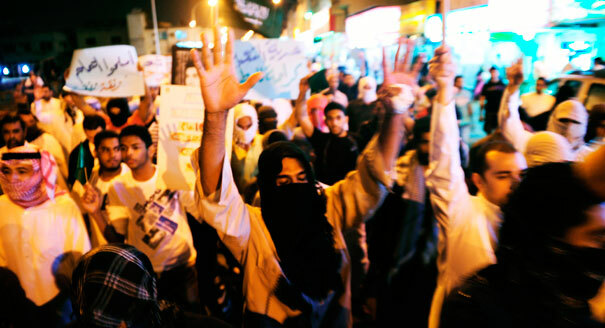 The Kingdom’s Eastern Province, a predominantly Shia region, has seen a number of, sometimes violent, protests by Shias who claim to suffer discrimination and marginalisation at the hands of the Sunni regime. This accounts for Saudi Arabia’s paranoia regarding the rise to power of a technically Shia force across the border, which could potentially inspire Shias within the Kingdom to rise up against the regime. With the recent drop in oil prices and the reverberations of the Arab Spring still being felt across the region, the house of Saud has arguably never been more vulnerable. Internally, it faces ever-growing financial obligations from an increasingly disaffected population that forgoes various freedoms in exchange for economic benefits and social services. Externally, ISIS has repeatedly threatened the Kingdom and its claim over the holy cities of Mecca and Medina, and its message alarmingly resonates with many disillusioned young Saudis. The aptly named ‘Operation Restoring Hope’ could therefore be perceived as a show of strength by a vulnerable regime – and a new king attempting to prove himself – to both its enemies and its own people. However, the campaign could have dangerous results for Saudi Arabia and the wider region. A knock-on effect of the fight against the Houthis has been the rise of Al-Qaeda in the Arabian Peninsula (AQAP), which abhors the Houthis and the Zaydi branch of Islam. The group has exploited the instability generated by the conflict and established an ‘Islamic State’ in the Eastern port city of Al-Mukalla. AQAP is deemed the most dangerous Al-Qaeda cell worldwide and remains the USA’s top priority in Yemen. Saudi Arabia’s delicate relationship with the US could thus be compromised if Saudi airstrikes continue to indirectly bolster the group, which itself could represent a major threat to the Kingdom and its allies in the future. Saudi Arabia’s intervention is also likely to amplify sectarian tensions, which represent a relatively new phenomenon in Yemen. Yemen is not traditionally ‘sectarian’, and the violence and instability that has plagued the country for so long has had more to do with regional and tribal conflicts than Sunni/Shia divisions. Saudi Arabia’s insistence that the conflict is sectarian could prove to be a self-fulfilling prophecy, as what began as a regional feud morphs into a war along religious lines, inviting further involvement from Iran and Sunni extremist groups. This could also risk making Yemen – which already has the reputation of a “safe haven” for jihadist groups – the next frontier in the Sunni/Shia battle that is tearing apart the Middle East and polarising the Islamic World.